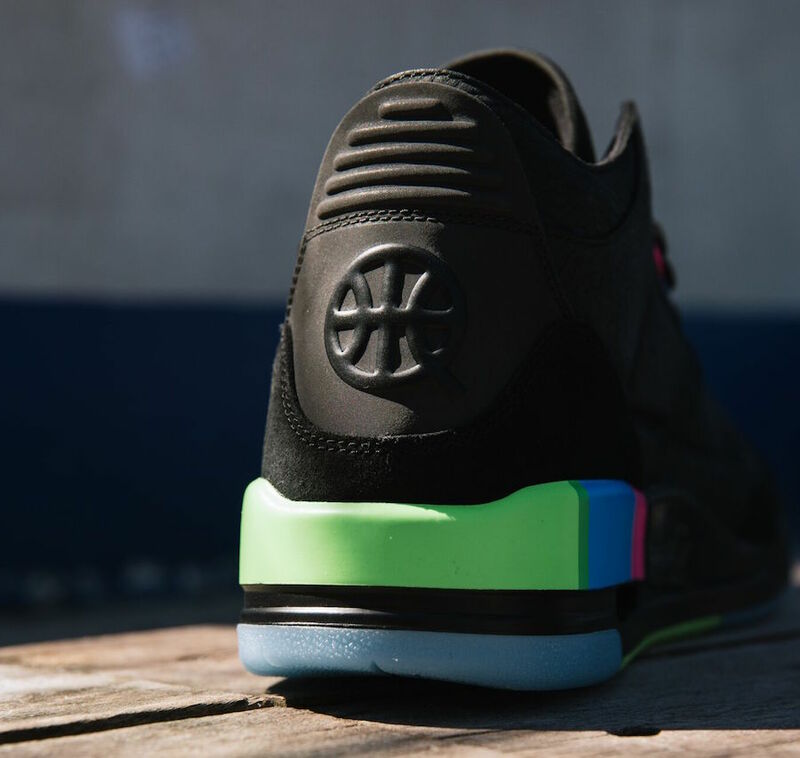 Jordan Brand sets to release their Quai 54 pack during their annual basketball tournament that takes place in Paris. 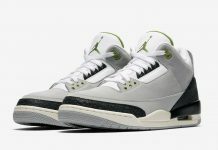 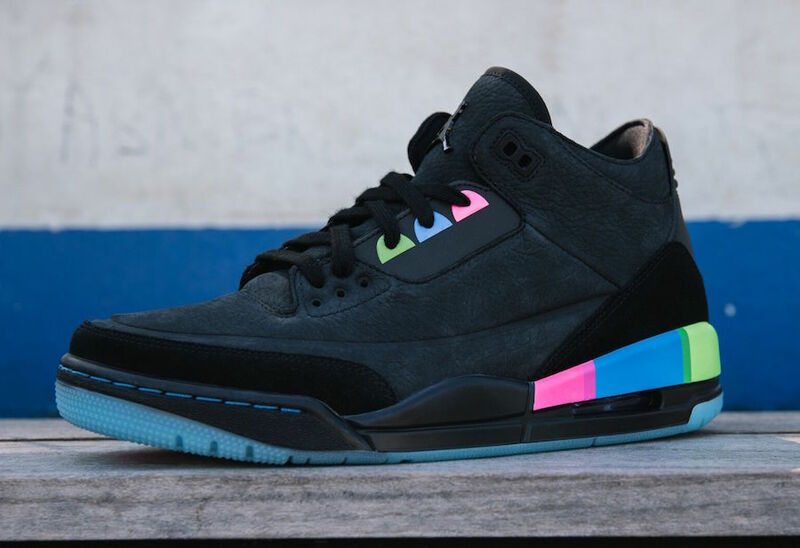 Jordan Brand releases exclusive Air Jordan Retro silhouettes for their Quai 54 tournament, this year they’re releasing the Air Jordan 3. 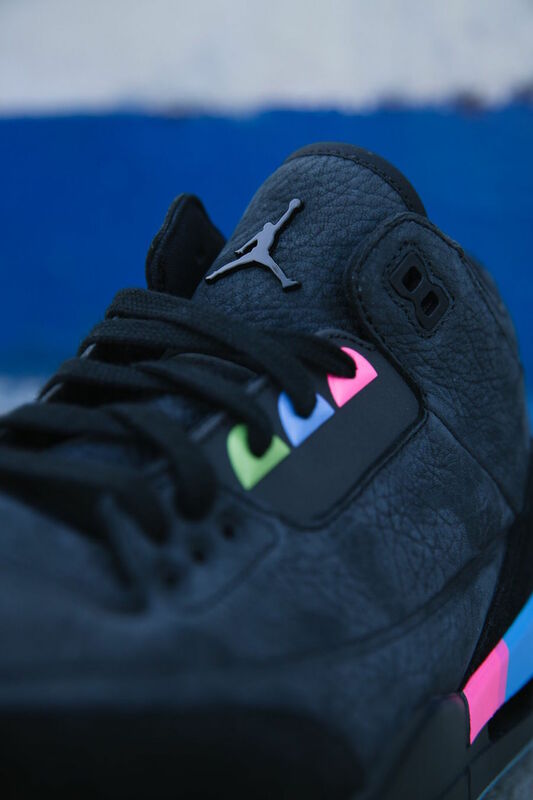 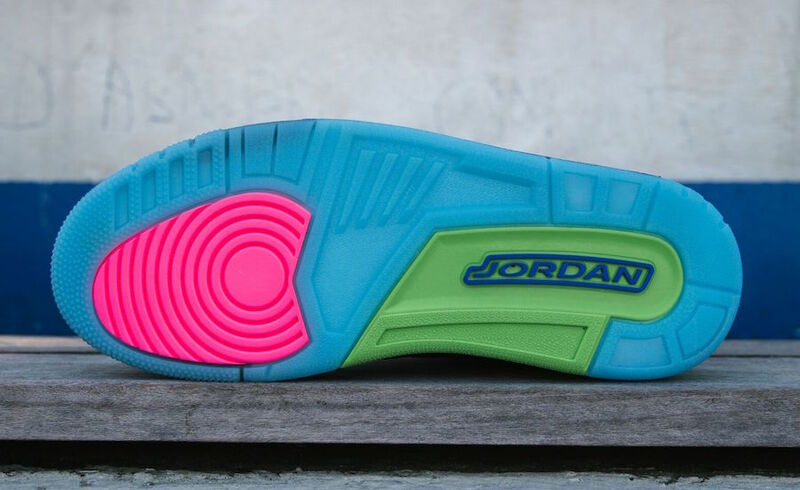 Featuring a premium Black tumbled leather upper, Black suede overlays, as well as Pink, Blue and Lime Green accents on the eyelets that match the heel of the midsole. 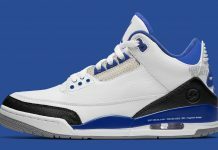 Completing the look, is its Icy Translucent outsole and matching stitching on the anterior portion of the shoe. 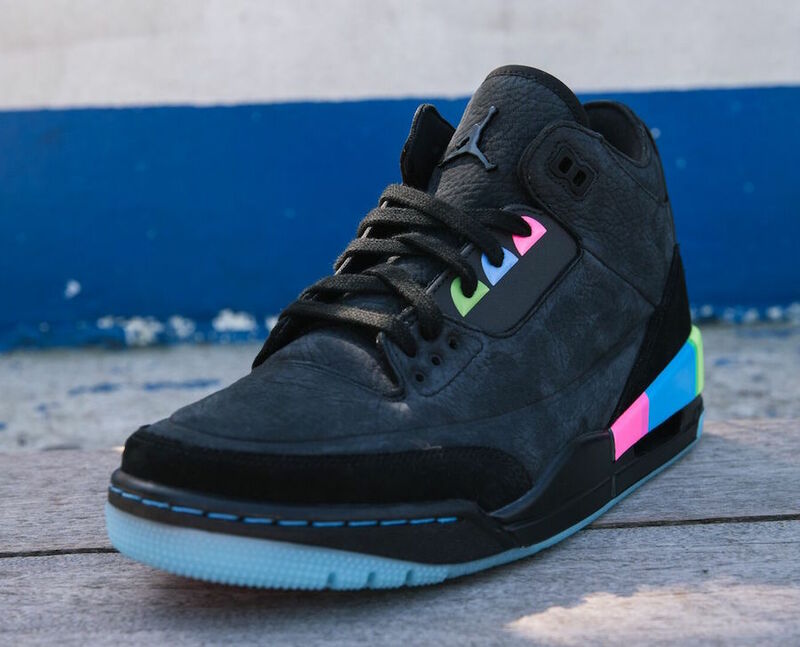 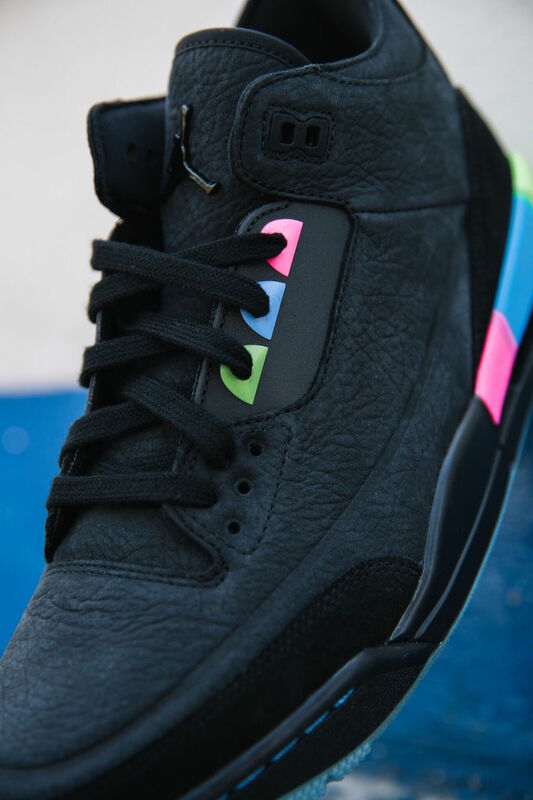 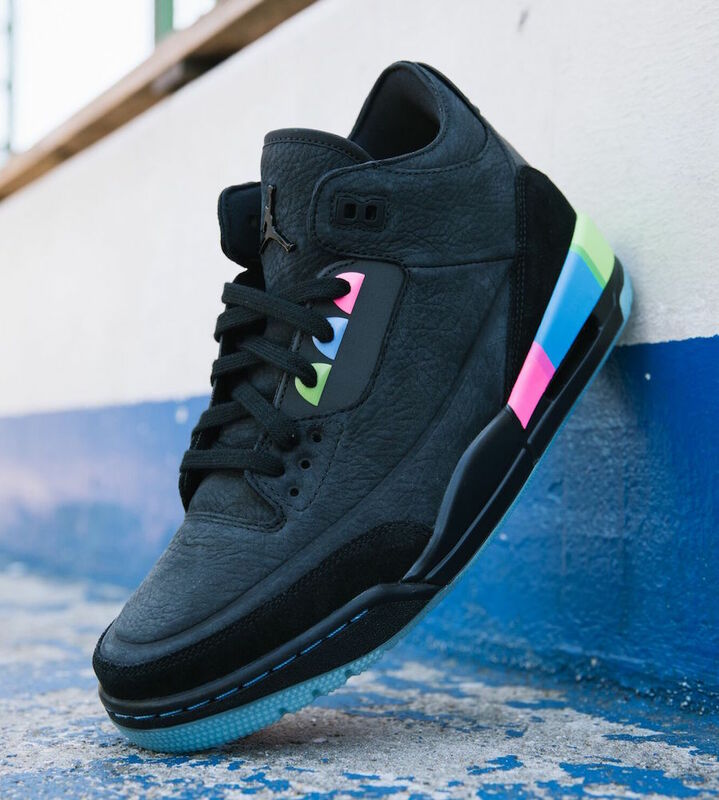 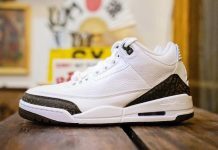 The Air Jordan 3 Quai 54 is set to release on July 7th at select Jordan Brand European retailers with the retail price tag of $190 USD. 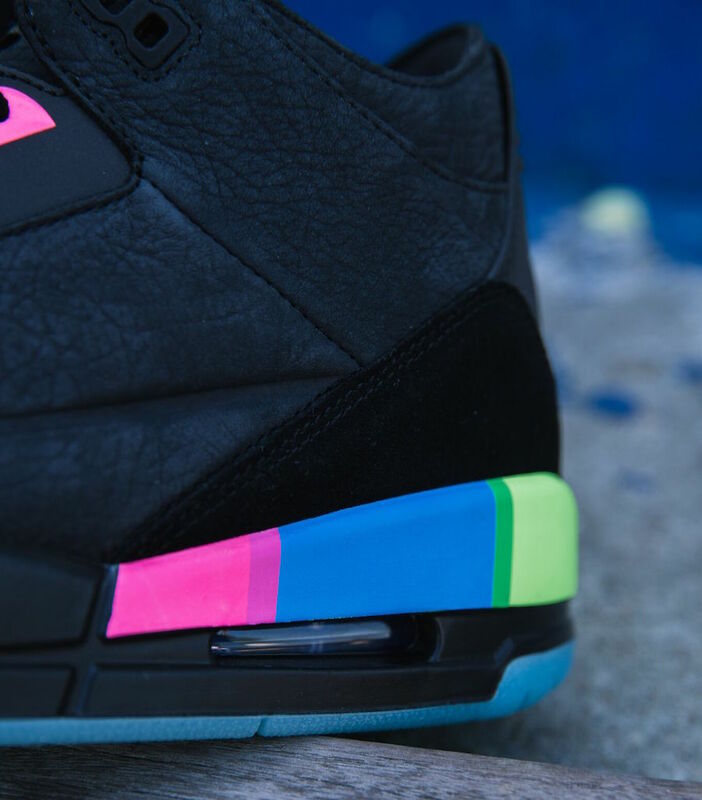 No official information on a stateside release.